Currently functioning as a hostel, this high ceiling 129 sq.m. space is ideal for an office. It is located on the second floor of a beautiful building on Akhvlediani (Perovskaia) street. There are 4 small rooms, 1 big room, a large kitchen and a reception area. 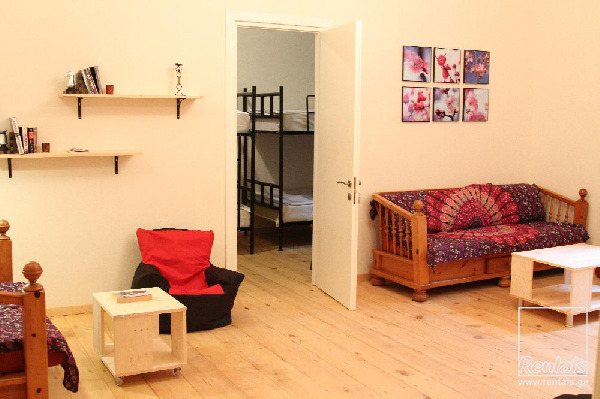 It is renovated with high quality materials, central heating has been installed in all rooms. The space has two entrances - one from the street and the other from the yard, where parking is available for 1-2 vehicles.